The options to replace missing teeth are dental bridge or a dental implant. Why should I replace missing teeth? What will happen if I don’t? Our teeth are designed to work together. Each tooth is connected to two other teeth in opposing arch. When we lose a tooth it’s like taking a pillar out of a building structure. At first, nothing happens, but soon gravity and external forces take over and the building starts to collapse. It’s the same with our teeth: pressure and other forces win. The teeth either side of the gap begin to collapse inwards and the opposing teeth start to move. This results in malocclusion. The longer you wait to replace missing teeth, the more complicated and costly the replacement gets. In a few instances, you may even sacrifice replacement options – for example, the bone at the gap resorbs over time and so an implant may not be feasible. Dr Harmanpreet Kaur DDS, dentist in North Plainfield suggests that there are various ways to replace missing teeth and all have different cost implications and benefits. The available tooth replacement options are, partial dentures, dental bridges, and implant. A dental implant consists of an implant crown and an implant abutment, whereas a dental bridge consists of two crowns and one dental pontic (dummy tooth that replaces the missing tooth). The decision whether to have a dental bridge or a dental implant depends on your unique situation. The primary consideration as to whether an implant or a bridge is the best option is the condition of the teeth adjacent to the gap. 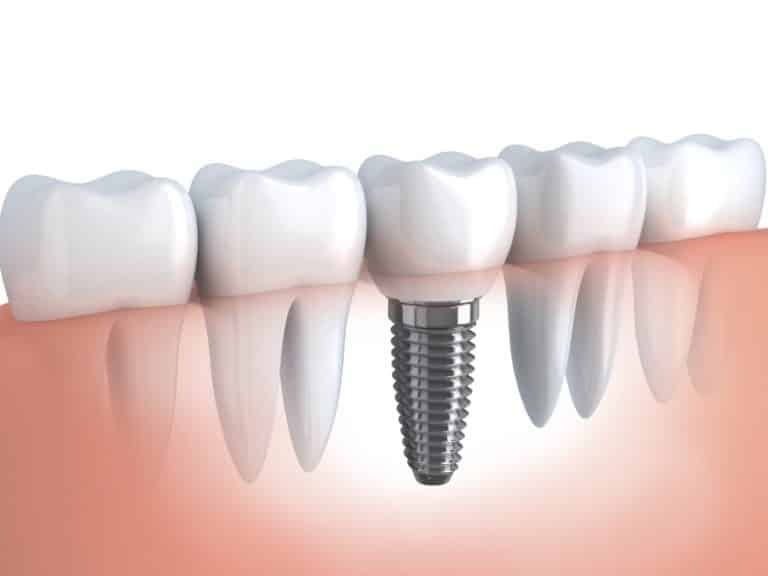 If the adjacent teeth are in good condition, then an implant is probably the way to go. However, if the adjacent teeth are in poor condition for example heavily filled with poor cosmetics (such as amalgam fillings or chipping), then they would probably need crowning anyway before the procedure. In that case, it is a no-brainer to opt for the dental bridge. Another consideration is how long the tooth has been missing – whether you’ve had a recent extraction or the gap between the teeth has been there for a while. These considerations all affect the decision as to whether to have a dental bridge or dental implant. Generally there is little cost difference between a dental bridge and a dental implant. That said, a dental implant requires adequate bone and if there is an insufficient bone for a dental implant then bone grafting may be required. This can push up the cost by several hundred dollars and possibly extend treatment time from four months to eight months. With above few things in mind, if you are still confused on how to take care of missing tooth, schedule an appointment with your dentist in North Plainfield for free consultation on dental implant or bridge. Located at the border of North Plainfield next to Green brook and Dunellen just off Route 22W, we at Dental Designer provide comprehensive dental care for our patients. What is a dental implant?Should I replace Amalgam Fillings?